Indonesia is the world's fourth most populous country, and its infrastructure is developing rapidly to meet the growing needs of its urban population and various industries. Bali, Indonesia is one of the most popular tourist destinations in the world, and its water infrastructure is rapidly developing to satisfy the growing needs of its tourism industry. To meet the growing water demand in the Sanur beach resort on Bali's southeastern coast, the Indonesian government's, Ministry of Public Works and Public Housing (PU) planned to build the new Petanu water treatment plant. The Indonesian state-owned plant builder, PT Waskita Karya (Persero) Tbk, constructed the plant. The Petanu water Treatment plant is dedicated to set a new level of water supply operation in Indonesia. Instrumentation and automation technology is introduced to improve its operational accountability as well as the easiness of its manageability for the operator. SCADA system is the appropriate measure to reach the goal. The Petanu water treatment plant started its commercial operation in May 2014 and produces 300 liters per second (approximately 25,920 cubic meters per day) of drinking water. The plant will increase its production progressively to supply drinking water for three municipalities in Southern Bali (Gianyar, Denpasar and Badung). The PU and Waskita Karya selected Yokogawa's process automation system as a one stop solution which includes FAST/TOOLS™ SCADA (supervisory control and data acquisition) system, STARDOM™ network-based control system, and various field instruments. To meet the urgent market demands, PU and Waskita Karya requested Yokogawa Indonesia to deliver these instruments and systems within three months from the order. Furthermore, PU and Yokogawa are committed to support the capacity building for the operator in the Petanu water treatment plant, especially in operating and maintaining SCADA system. The Petanu water treatment plant is using surface water sources from a river and producing drinking water for public consumers. The raw water from the water intake goes to aeration and pre-sedimentation where heavy particles settles to the bottom. The water, with suspended dirt and particles, then goes to sedimentation, where they are coagulated with alum or other chemicals and becomes flock, which is heavy enough to sink to the bottom. The settled particles and flock are removed to the sludge drying bed. Then the water is filtered and chlorine is added to disinfect the water. Finally, the treated water moves to the reservoir to be distributed to the consumers. Yokogawa Indonesia executed the entire project from product supply to engineering, installation, and commissioning as a total solution. 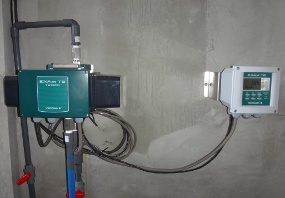 The PU is familiar with conventional panel operation in their existing water treatment facilities in Bali. However, for the new water treatment plant at Petanu, the PU decided to employ the latest reliable control system in order to increase availability and quality of operation, and improve ease of maintenance and future expansion. This decision to adopt new technologies was a big challenge for them. Since Petanu water treatment plant started its operation in May 2014, the plant has been supplying safe and clean water to the South West of Bali. Behind this success, both customers and Yokogawa Indonesia made extraordinary efforts to overcome significant challenges to achieve the objective. 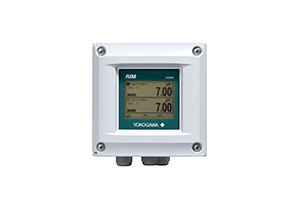 To satisfy the PU expectation of acquiring the latest most reliable control system available, Yokogawa Indonesia provided FAST/TOOLS™ SCADA (supervisory control and data acquisition) system and the STARDOM™ network-based control system with field instruments. The major field instruments include pH analyzer, turbidity analyzer, chlorine analyzer, magnetic flowmeter and pressure transmitter as well as other associated field instruments in the process monitoring of water intake, pre-sedimentation, chemical dosing and reservoir. These instruments have LCD operation panel for easy parameter setting and for prompt operation at site. 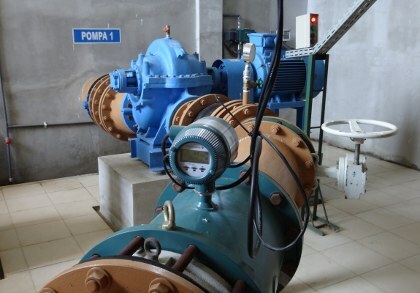 The main process of a water treatment facility uses many pumps and motors. To increase reliable control of the operation, STARDOM™ provides dual redundant configuration in dual control CPUs, power supplies and communication networks. All STARDOM™ controllers are connected to FAST/TOOLS™ SCADA system at the central operation room through the Ethernet network. As compared with PU existing conventional panel operation in Bali, FAST/TOOLS™ provides more sophisticated and flexible operation by integrating with process data, equipment status, alarms, messages, trending, process reports, and historical data and system maintenance information. 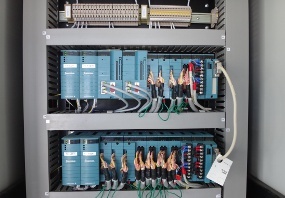 With this control system, the Petanu water treatment plant is achieving secure, stable and reliable operations in the entire process with a minimum number of operators. 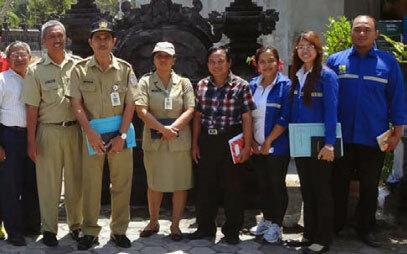 It was the first time for both PU and Waskita Karya to work with Yokogawa Indonesia for their water treatment plants. In addition, PU and Waskita Karya requested short delivery of the system. To satisfy customer's expectation and get their confidence, Yokogawa Indonesia used their experience, knowledge and local engineering skills of infrastructure plant projects in Indonesia and carefully verified and applied the control logics and operation screen designs into the control system. For the customer's smooth start-up of SCADA based operation, Yokogawa Indonesia gave customized training for PU at both Jakarta and Bali so that they could get accustomed to the graphic screen operation in advance. Through the training, PU became confident and adapted to SCADA operation before the plant commissioning. This sophisticated operator training prepared operators for any unusual operations, such as a sudden flow-rate change at the water intake due to heavy rain, so they can adjust the water inlet flow accordingly. Once the operators obtained the benefits of SCADA system, they extended their operation to be more flexible and efficient. "We are very satisfied with the successful installation and smooth operation on schedule. The water demand in this area was very critical. So sooner water supply was definitely required. We appreciate Yokogawa Indonesia's commitment and sophisticated services for this project. It was the first time for us to use Yokogawa control system. However, thanks to Yokogawa Indonesia's local efforts and supports, we are now very confident to use the state of art technology and reliable products. With Yokogawa control system, we can operate the plant more efficient with less manpower than conventional panel operation. Now Petanu water treatment plant has become a showcase of water treatment plant in Bali. We want to utilize this facility as a training center for future operators contributing to increase the quality and efficiency of water production. We are very proud of supplying safe and clean water to our region 24 hours /365 days constantly", said, Mr. I Gusti Alit Joni, a Head of Water Supply Management Unit of Bali.